This is the battle of supremacy, I think. 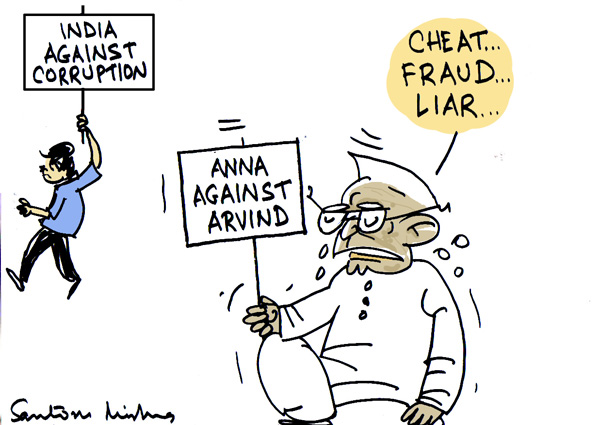 Anna and his team persistently said that they wanted to help people chose honest persons in elections. So, Anna should support Kejariwal (in next Loksabha elections) that he has established approproiate credentials as an RTI activist. Isn't it ? Instead, he chose to attack Kejariwal ! !